Currently listing - Great Britain stamps. We very occasionally have issues with some orders on this website. If you do order and it doesn't go through at the payment stage please email me at leysiner@aol.com 24/7 and I'll be able to sort it out in minutes at this end! We supply anywhere in the world. We sell KILOWARE (stamps on paper), PACKETS and, of course, individual stamps and sets from around the world. We are also (slowly!) adding coins and postcards. 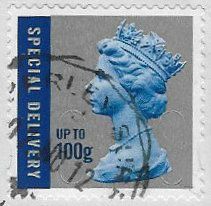 FREE POSTAGE - our local post office changed hands recently and almost immediately got rid of their classic canceller which has reduced the quality of their cancelling. I think they may also have not bothered cancelling smaller packages. I've taken the decision to offer FREE POSTAGE instead, as most orders are quite a low weight and postage isn't a huge part of the servicing cost. I can't guarantee to always use top quality stamps, but will always use REAL stamps! This will also allow me to use my (walkable) local post office which will mean I can offer a faster turn around on orders. There will be a flat rate 50p charge on all orders to cover packing and insurance. NO minimum order. My Delcampe store is here. If you can't live without kiloware and aren't having a lot of luck winning my GB material I do have a regular (but increasingly difficult to find) supply of all world kiloware. This is a very nice unpicked mix including a good deal of unusual material including older and scarcer. 1kg lots only, many mixes include material sent in by individual donors from the 70+ charities now on my books. Super value at just £47.50 plus post and packing. Unpicked and unsorted with loads of finds. 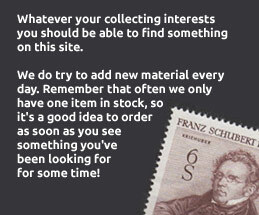 I do of course BUY world (and GB) stamps and sets so you can keep the stamps you need and sell the rest to me! Direct link here. (11 x 1kg currently available).